These clients wanted to update their master bathroom. The most important renovation, people can do to increase their house values are kitchens and master bathrooms. 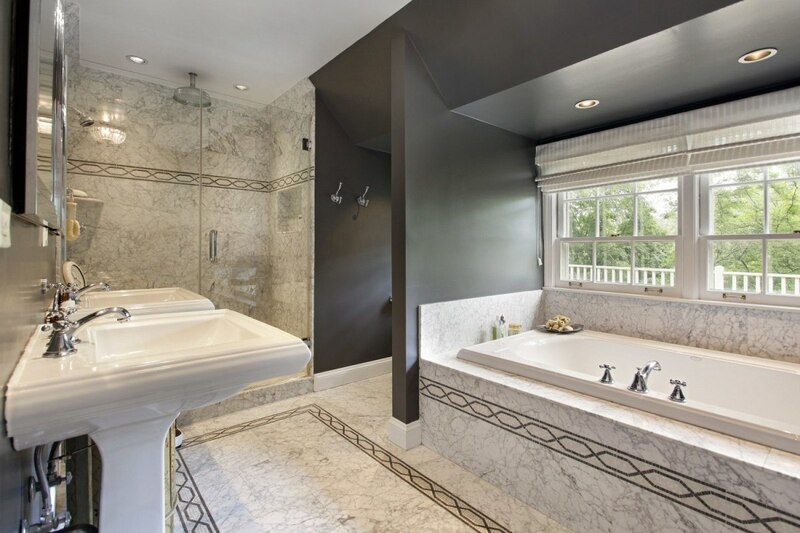 She loved marble and wanted them to each have their own sink but no storage – she needed it to be more open. And he wanted the dark tones of wood. So we put our years of experience in interior design to good use and painted the walls a dramatic dark brown mimicking wood and complimented it with a decorative marble inlay framing the area.